Google Maps is – unsurprisingly – a stock feature of the Big G’s mobile operating system, and has today been served a pretty significant update. If you’re running one of the premier devices on the market (Galaxy Nexus etc. ), then there’s High Definition support which is not only easier to read, but nicer to look at in general. We live in an age where our digital devices are all marketed as facilitating groundbreaking/wonderful/beautifully crisp/(insert adjective) high definition, so you could say the Maps update is not before time. As well as the HD visuals, the interface has been tweaked for those running Ice Cream Sandwich, and the app now includes preferred public transit mode as well as route options. Although Ice Cream Sandwich has struggled to reach the masses, but has been widely praised for its new look. 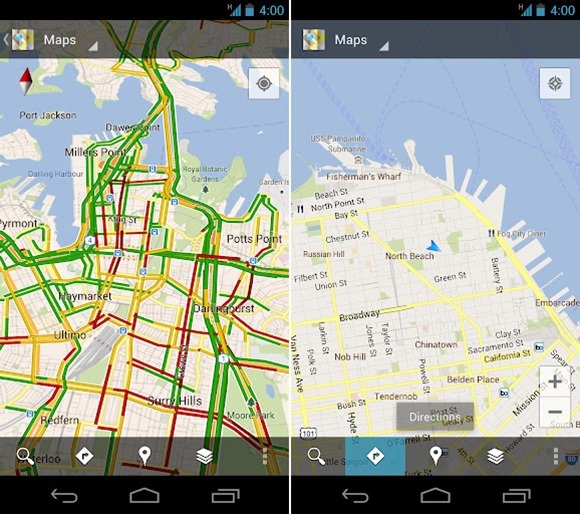 The new Google Maps certainly fits in nicely with ICS from an aesthetic point of view, and we’re pretty sure you’ll be as pleased with the updates as we are. With the voice dictation shown in the video, the ad could easily be mistaken for one of the many Siri videos we’ve been bombarded with since October – but for the tasteful guitar sounds in the background! The feature allowing users to select and prioritize transit mode has been in the pipeline for a while, and includes a handy ‘Recommended Route’. Google has been bullishly dominant on the maps front over the past few years, and as well as being on every Android device, Google Maps is also pre-loaded on each and every iOS device. If Apple has its way, that won’t be the case for much longer, since the Cupertino company has reportedly been preparing an alternative of its own. 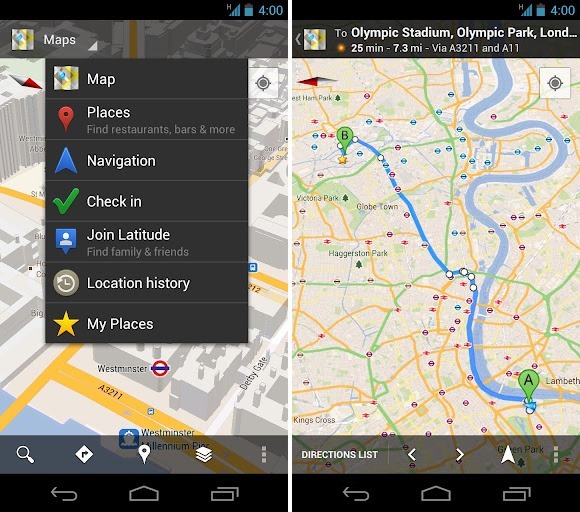 To conclude, you may also want to hit up the YouTube page of Google Maps, where you’ll find a dozen videos outlining the awesomeness of the updated app, explaining users the benefits of Maps on their Android devices. Should you prefer to simply cut to the chase and crack on with the app, however, check out the download link below.